The utility of u-PVC pressure pipes for the conveyance and distribution of potable water has been proven beyond doubt for the past 30 years. Its versatility demonstrates a key advantage – adaptability to changing times and environments. 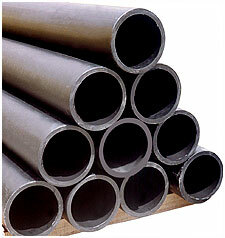 Dadex u-PVC pressure pipe systems for cold potable water, Dadex can also supply PVC non-pressure pipes and electrical conduits. ¾", 1", 1.5", 2", 2.5", 3", 4", 6", 8", 10", 12" and 16" 4 m to 6m in length in Classes B, C, D and E.